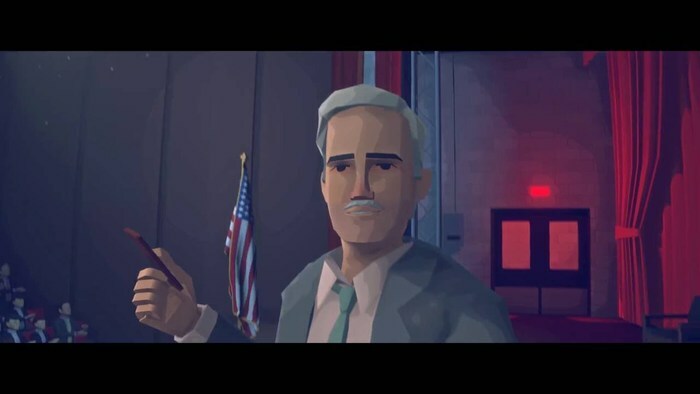 Virginia is a First Person, narrative based, noir adventure game set in the early 1990’s with an evident inspiration from 90’s television shows such as The X-Files or Twin Peaks, yet developer Variable State still manages to tell a rich and engaging story in their own unique way. Dialogue between characters is replaced with a sort of pantomime during each scene, where emotion is still conveyed through each characters actions, and not a single word is uttered. Very similar to silent-movies, each scene is accompanied by a music score, and an incredible one at that, and managed to captivate me as I searched each area for clues or was simply transitioning to the next scene. You play the role as FBI Agent Anne Tarver, who is sent on a case to find a missing boy in the small town of Kingdom, Virginia. As you investigate his disappearance, you begin to unravel the mysteries of your partner’s past, as well as coping with your own, as you dive into the character’s psyche, and explore her fears and subconscious thoughts about the investigation. Gameplay mechanics are very simple. Although each area is filled with props and the occasional collectable, I was not able to interact with the environment. Instead, most of the game is completely A to B in terms of its linear exploration, and the game made it quite easy to detect where you needed to go next. There were no choices in the game that ultimately affect the outcome of the game’s ending or my relationship with each character. I simply “pointed and clicked” the predetermined choices and witnessed the affect. Although this may seem overly simplistic, the game does manage to direct it’s linear style in a very distinctive way, by making use of various cinematic tricks such as “film transitioning”. One scene portrayed me in a diner drinking my coffee, then immediately cut to me riding shotgun in a car on the way to my next destination. These scene conversions happen often, and creates a sense of disorientation which helps to bemuse the plot of the story. My only complaint about the game is the ending. After completing it’s 2 hour, thought-provoking campaign, I felt that the game ended abruptly without explaining important story elements in further detail. What started out as a simple tale of conspiracy, lead to the borderline supernatural, and even though that would usually excite me, I was left feeling empty and unexplained. 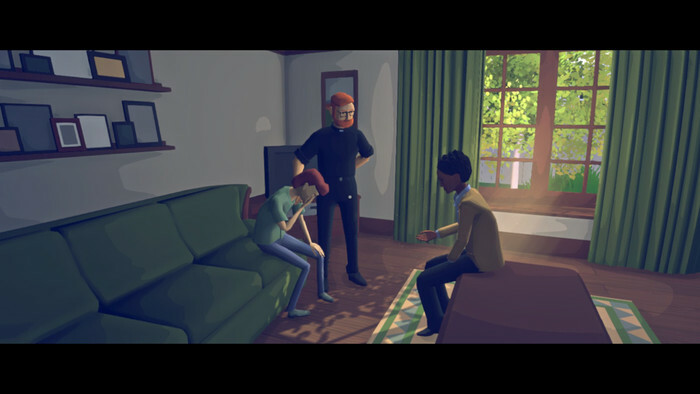 Virginia is an emotionally mature, and captivating game that I highly recommend for fans of the first person adventure genre. The game does an exceptional job at placing you in the story and creating deep emotions during important parts of it’s narrative. Accompanied by an incredible music score, don’t be surprised if this title gets some mention at this year’s Video Game Awards.